No matter how great your style is, no one is immune to committing fashion mistakes. Even the most well-dressed women have worn things that they wish they hadn’t. There’s no need to panic, as these embarrassing fashion mistakes can serve as prime learning opportunities for a better personal style. As long as you know what looks great on you and what should stay on the rack at the store, you’ll look fabulous every day. Keep reading for some of the worst fashion mistakes people make and learn how you can fix them before they become a bad habit! Many fashion mistakes are committed while trying to stay on-trend with popular culture. It’s important to remember, that not every trend is going to work for your body type, or even your personality. Trends are meant to serve as inspiration and shouldn’t necessarily be taken as fashion gospel. Instead of jamming every trend into one outfit, try incorporating just one trend into your outfit at a time, while pairing it with classic staples and accessories. For example, if you’d like to try your hand at the leopard trend, which never seems to go out of style, choose a leopard print accent piece, instead of wearing the print from head to toe! Never, ever buy something that doesn’t flatter your figure. You might fall in love with a beautiful dress you see while out on a shopping spree, but if it’s not the right size, it won’t do you justice. Make sure you feel comfortable with what you’re wearing before you leave the house. A beautiful outfit can be ruined if you look uncomfortable in your own skin! Women’s tops in particular should have a flattering fit, while loose and ill-fitting clothes should be avoided, as they can make you look sloppy and careless about your appearance. Some fashion experts recommend dressing for your body type, but if you follow that advice, you may end up avoiding some of your favorite fashions. To ensure your clothes are the right size, measure yourself around the bust, waist, hips, and inseam and compare the results to a size chart to get an idea of what sizes you should be wearing. Letting your undergarments show through your clothes is among the worst fashion faux pas imaginable. Wearing undergarments that are appropriate for your outfit is just as important as wearing clothes that fit you well. Don’t ruin an otherwise beautiful outfit by choosing ill-fitting undergarments that showcase lines or straps. Invest in some seamless underwear for those times when you’re wearing a tight dress or pair of pants. When wearing a bodycon dress, for example, remember how flattering supportive undergarments can be. Furthermore, if you’re wearing low-rise jeans, be mindful not to showcase your underwear every time you sit or bend down! Choosing the right accessories is essential in making your entire ensemble look flawless. Remember, it’s all in the details. Carefully chosen jewelry, shoes, and handbags can make or break your look and even turn a basic outfit into a perfectly posh one. A great rule of thumb is to look in the mirror and take one accessory off as you’re ready to head out the door. If this habit was good enough for Coco Chanel, then it’s certainly good enough for the rest of us! This simple tip from one of history’s greatest fashion icons will ensure that you don’t look overwhelmed by your accessories. Every fashionista knows that one bad wash or round in the dryer can ruin a beautiful garment. Always follow the cleaning instructions that come with your clothing before you toss them in the washer! 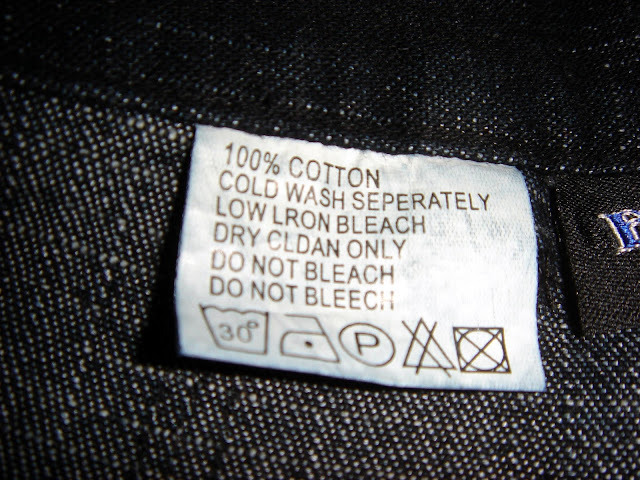 Pay special attention to what the tag says and take some time to learn how to properly clean your clothes. Making this a habit can be the difference between a good investment, or just another piece of clothing that you have to toss away because you ruined it in the laundry. 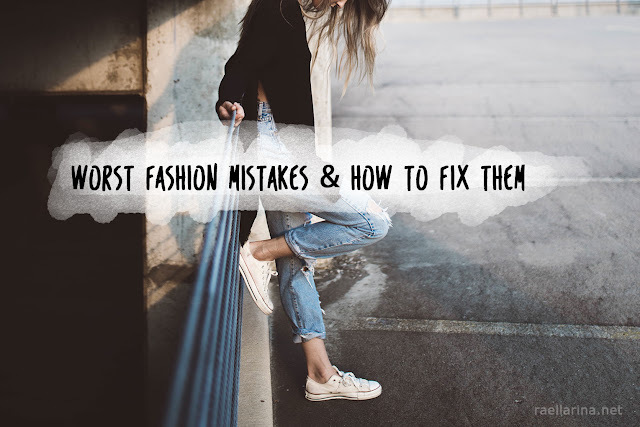 Now that you’re better versed in a few of the most common fashion mistakes, you can be more mindful not to let them slip into your everyday styling habits! Some of the most well dressed women don’t necessarily have the largest shopping budget, they just know what looks best on them. Dress for yourself and give your clothes a little TLC to ensure they last a lifetime. *This article is a guest post by Elaine Gren . Author Bio: Elaine Gren is a fashion stylist and a freelance writer from Los Angeles, California. With over 10 years of experience in the fashion industry, she has helped many clients achieve their ideal image and enjoy stylish outfits. When she is not busy working, she enjoys publishing informative articles across prestigious outlets around the world. The old thong whale tail used to be a trend back in the early-mid 2000's. I thought they were all accidents, but a lot of women did it on purpose.